1800 ACRE LAKE, FED BY POSSUM CREEK, SURROUNDED BY 5 SMALLERS LAKES APPRO. 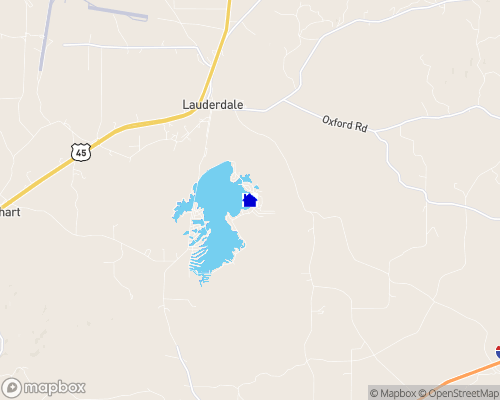 8 TO 20 ACRES EACH, BUT ARE NOT CONNECTED TO MAIN LAKE. THIS LAKE WAS BUILT IN THE 60’S AND IS THE LARGEST PRIVATELY OWNED LAKE IN THE SOUTHEAST. FISHING IS FANTASTIC!!!! Depth of Lake: Marion-12 miles, Meridian-18 miles.